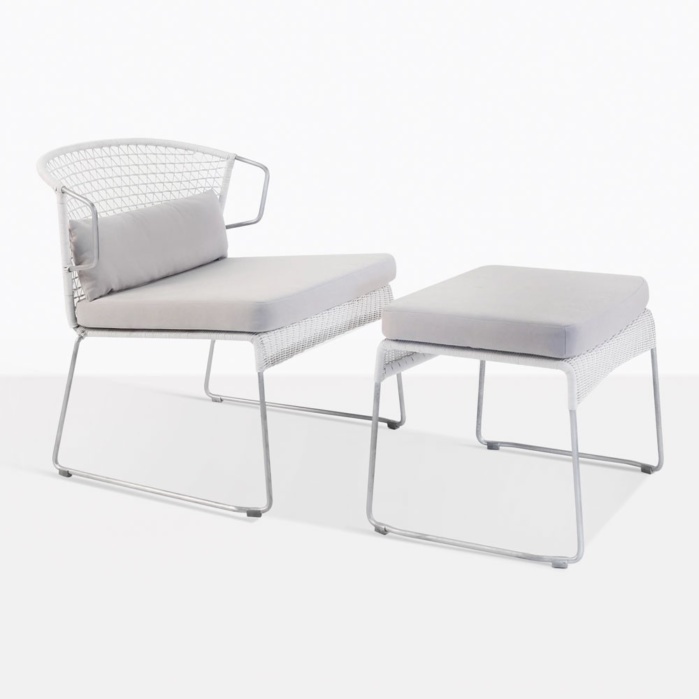 Strength and elegance come together to form this unique outdoor relaxing chair and ottoman. 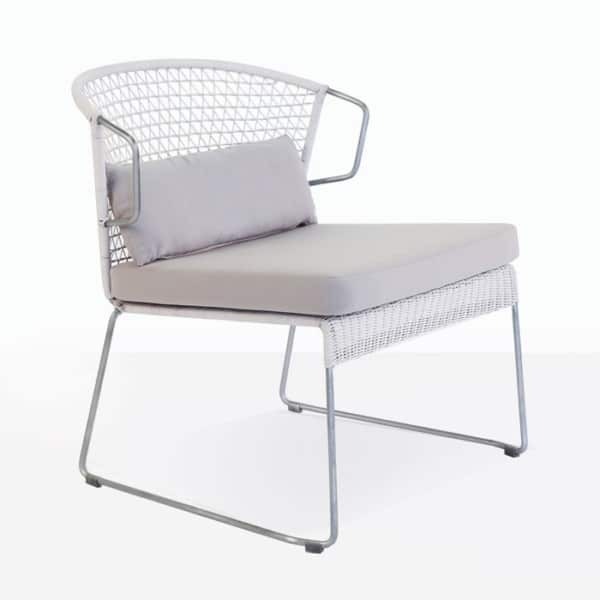 The Sophia chair is a combination of outdoor wicker weave and galvanized steel. 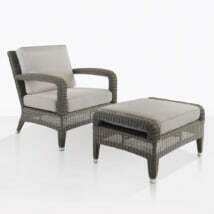 The wicker is intricately woven onto a steel frame giving it a delicate look. These materials are perfect for outdoor use. 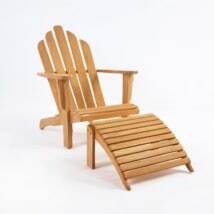 We envision this chair in your outdoor garden, patio or sunroom. It is perfect for afternoon tea and your favorite book. 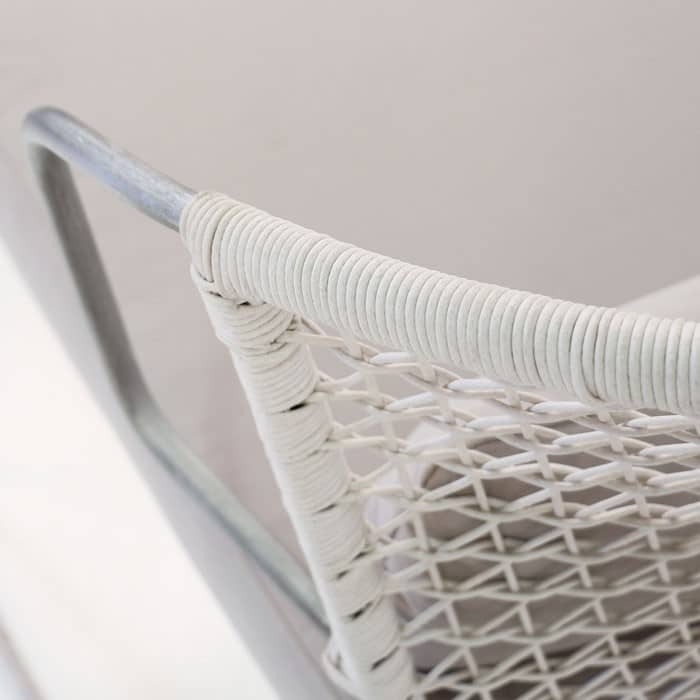 The color of the wicker is a delicate chalk (white) hue adding to the soft palate and cozy feel. The Sophia relaxing chair feels contemporary, whimsical and inviting. The unique structure of the arms and legs make this a standout piece. Topped with grey Sunbrella® cushions for just the perfect amount of comfort. The Sophia outdoor ottoman makes this relaxing chair into a complete story. It just begs for you to rest and put your feet up. We have a feeling you will treasure this chair and ottoman for years to come.